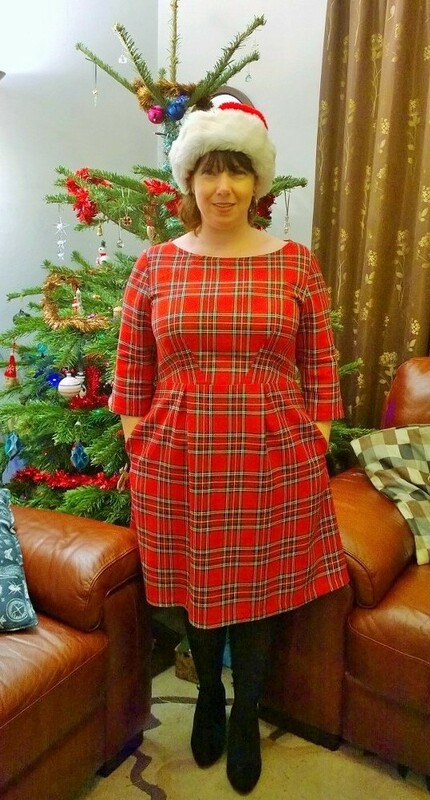 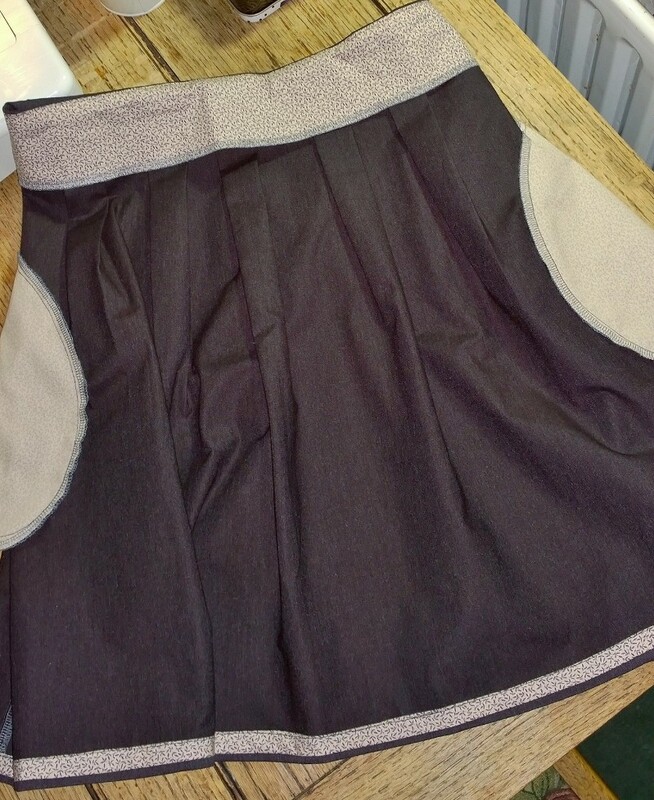 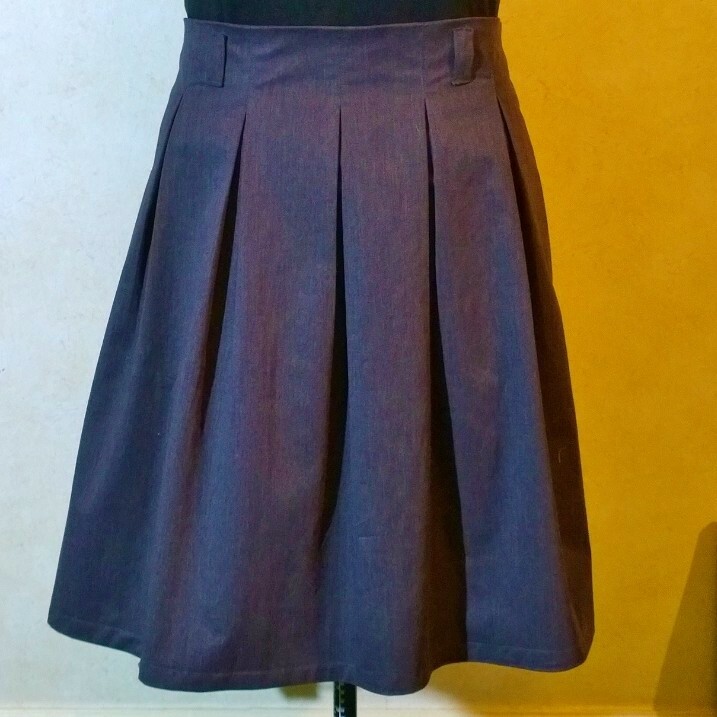 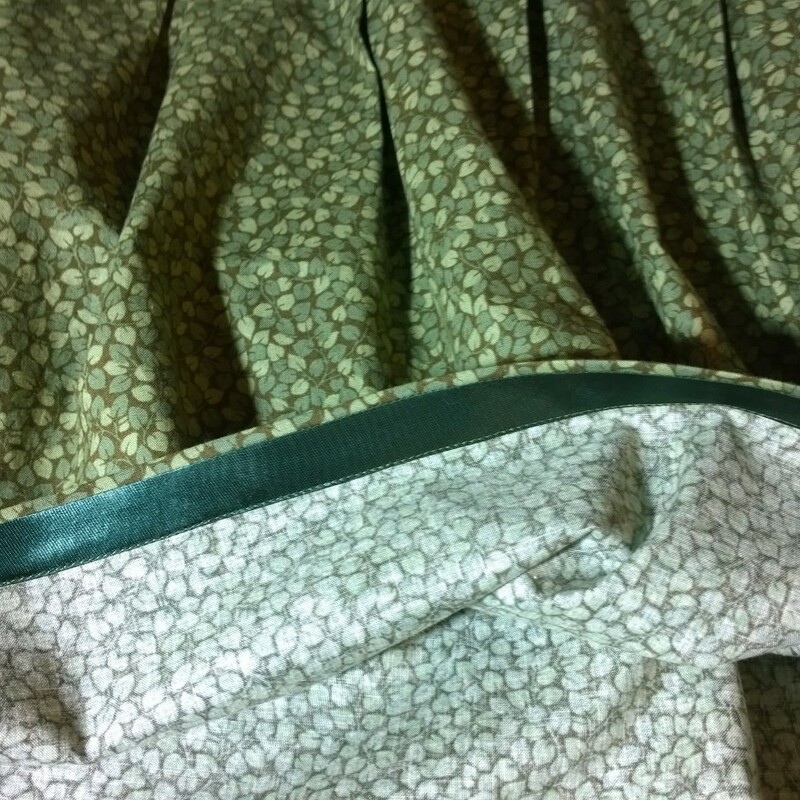 It came together really quickly but not without sacrifice, while attaching the skirt to the bodice I was concentrating so much on keeping the gathers straight that I sewed straight through my finger! 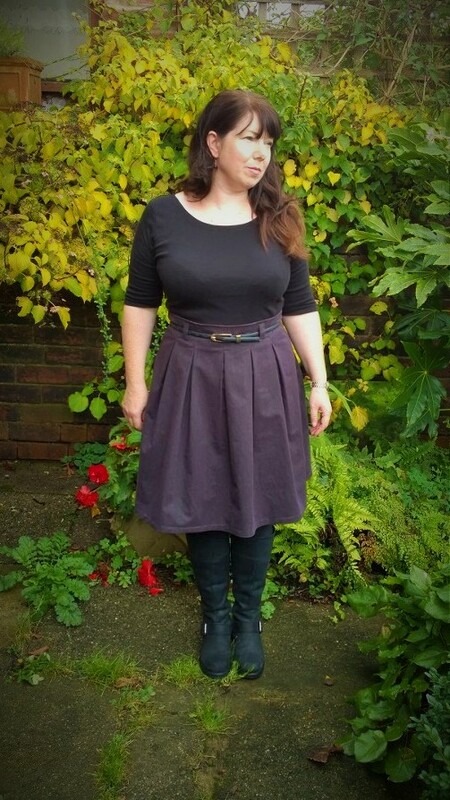 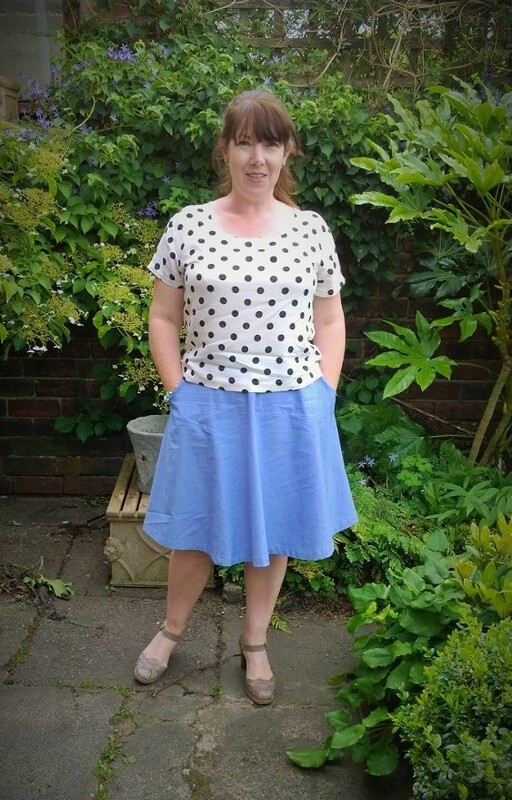 I didn’t hem it as short as last time and ended it just around my knee, I figured I can get away with a shorter skirt if I am wearing tights but exposing my bare saggy legs is not a good look (especially with how white and pasty they are after the winter!) 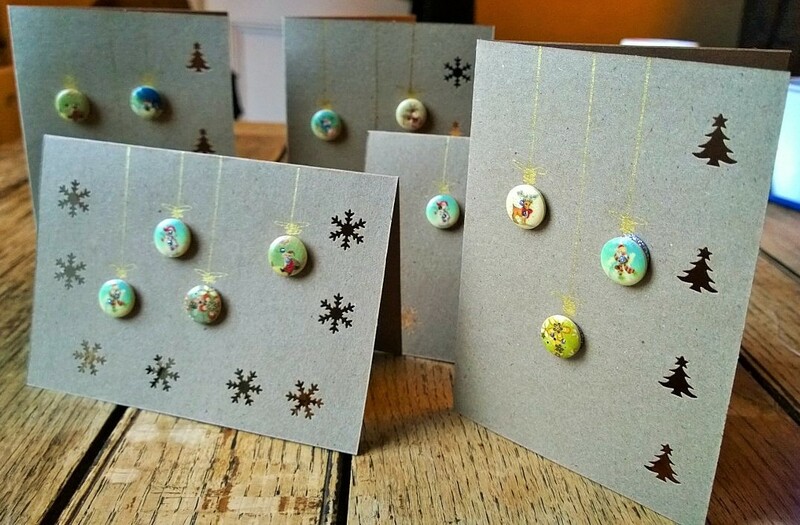 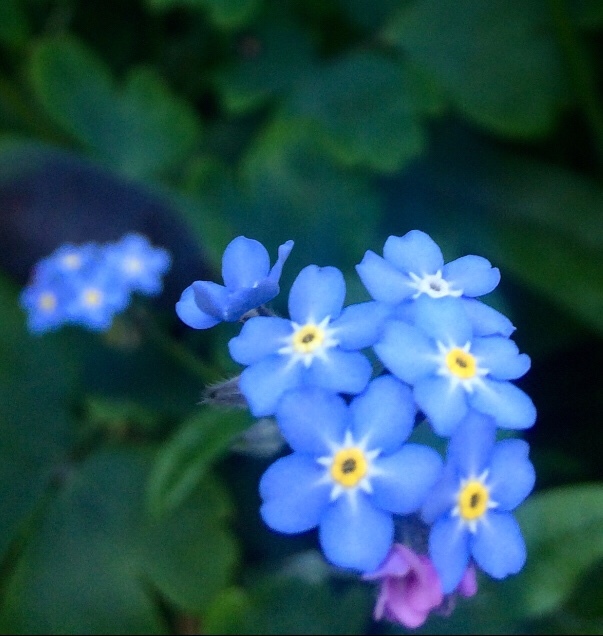 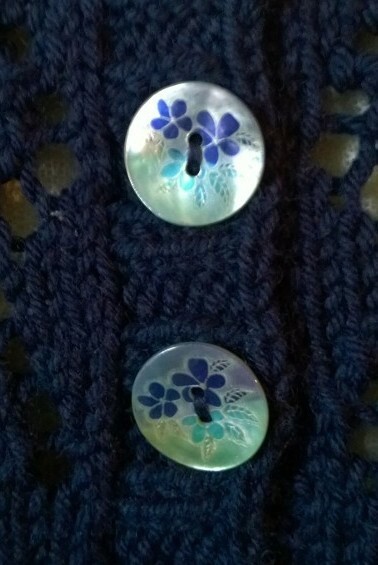 I spent ages looking for the right buttons and eventually settled on the mother of pearl flower ones. 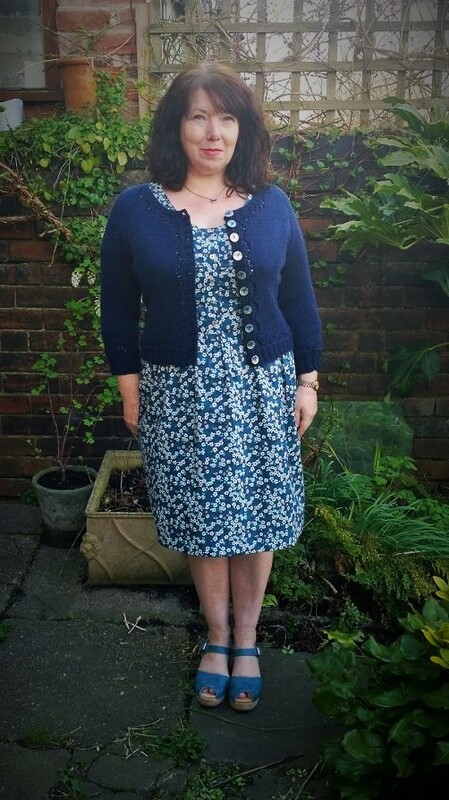 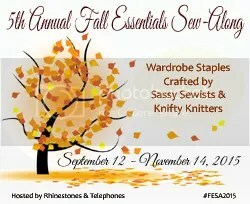 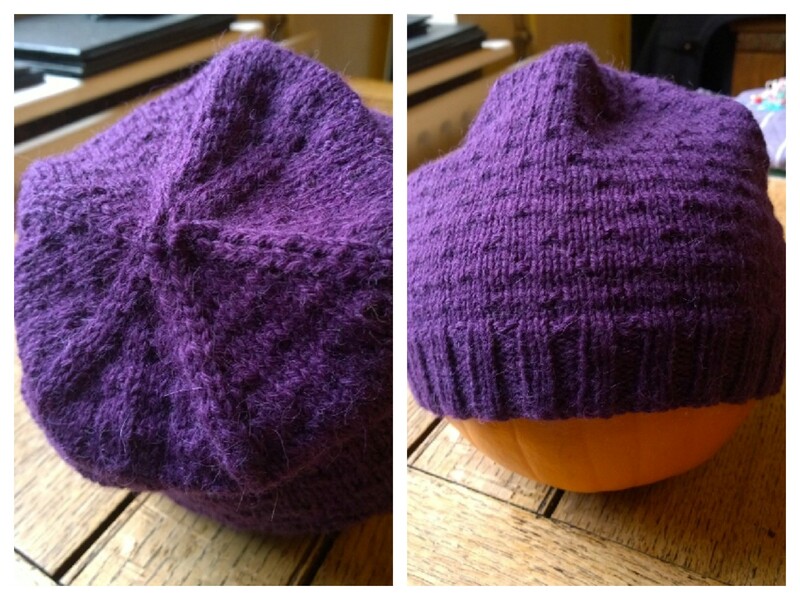 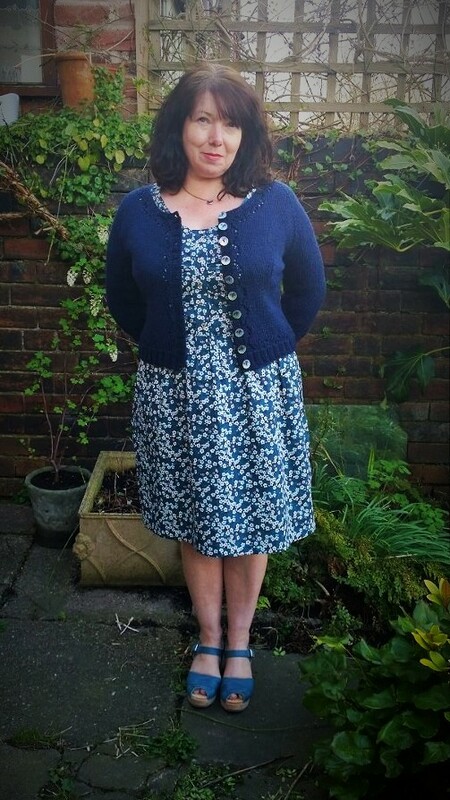 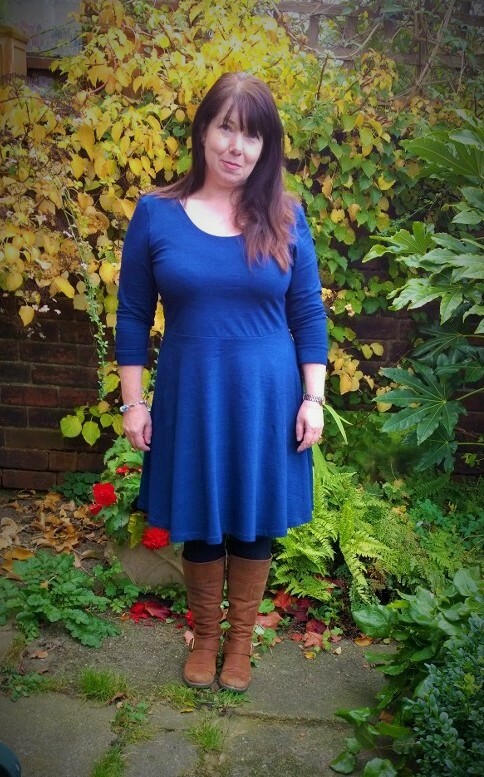 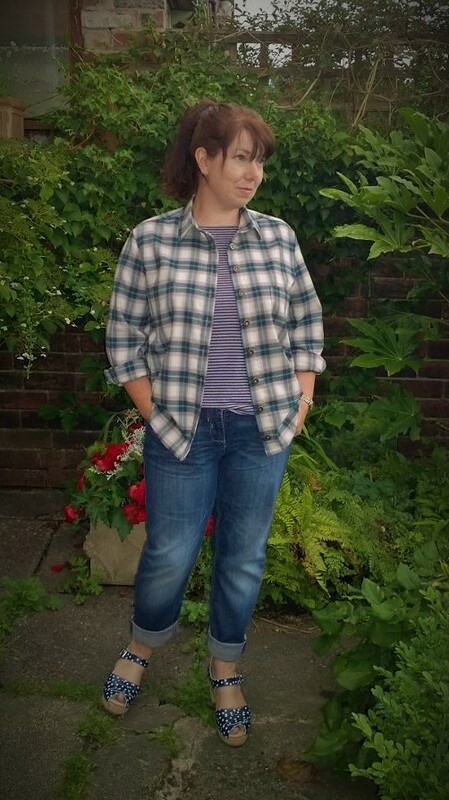 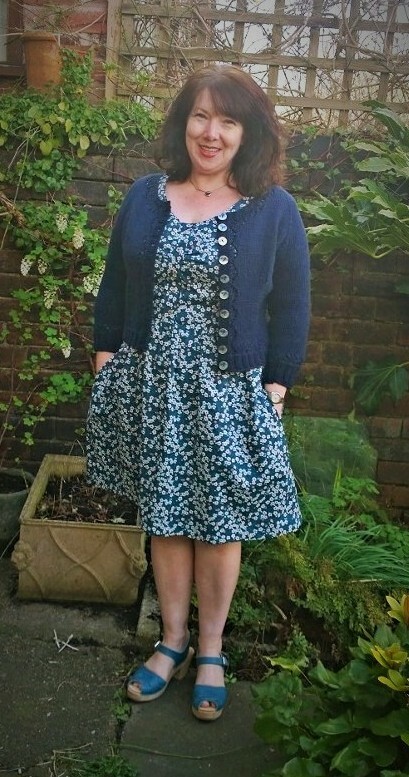 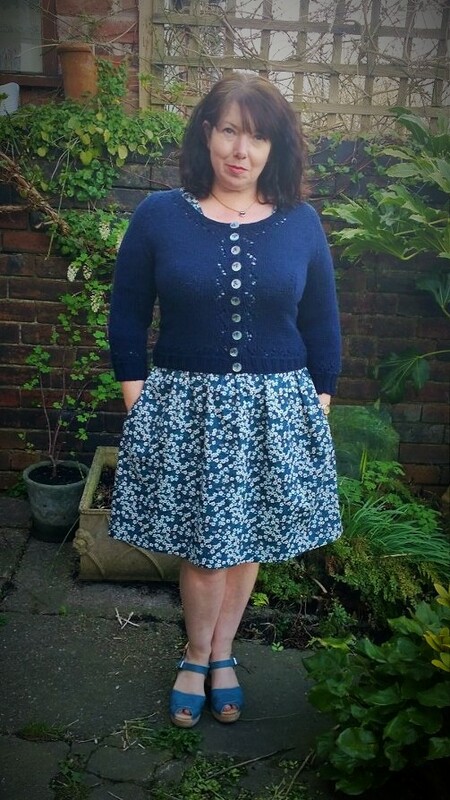 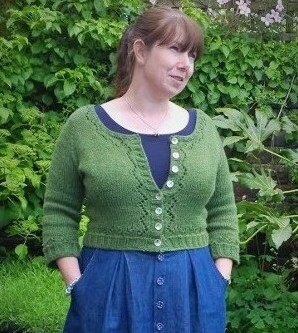 I cast on a size 42 and used Cascade 220 in Navy 854 bought from laughing hens. 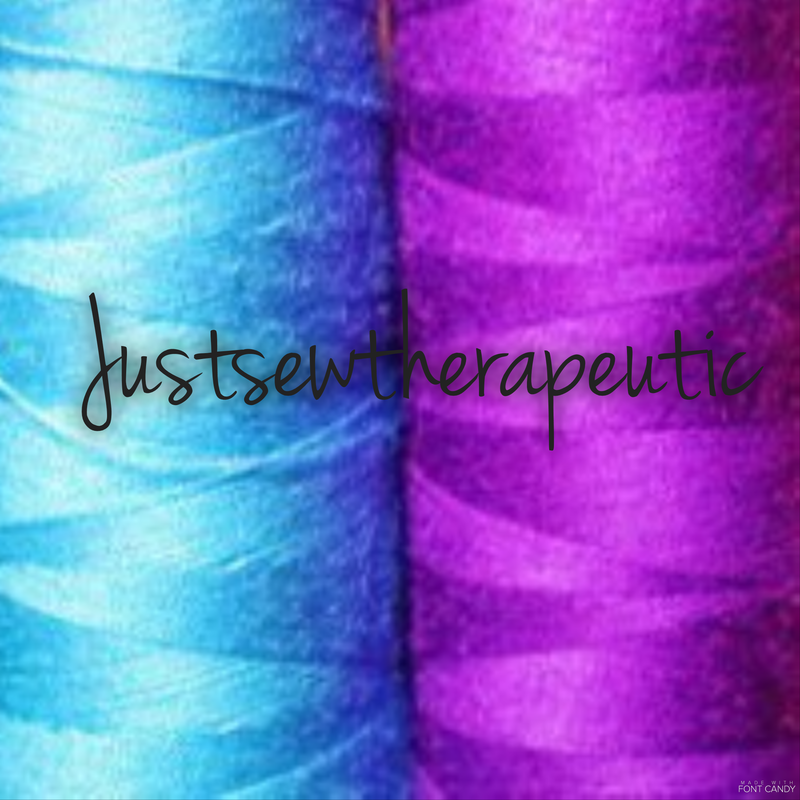 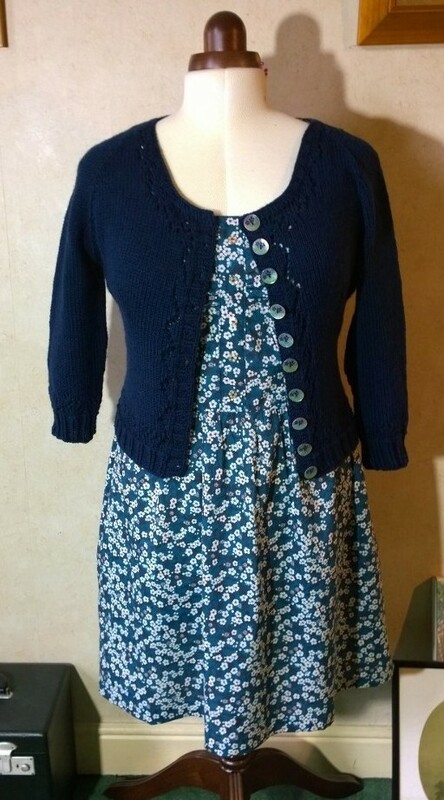 The only modification I made was adding 4 inches to the length (another 20 rows) I blocked it in my usual fashion by putting it through a wool wash in the machine. 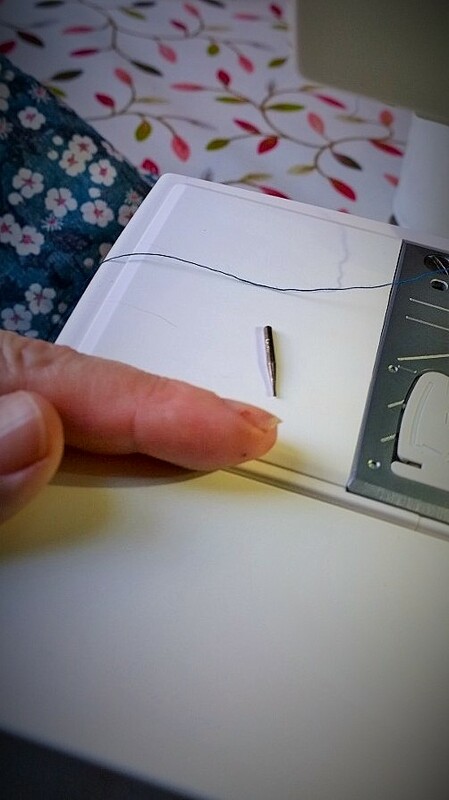 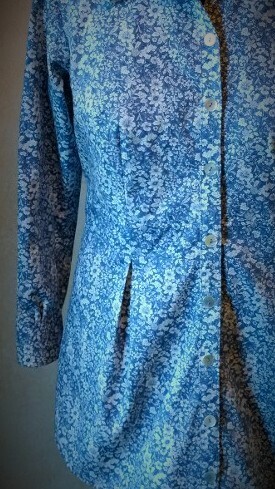 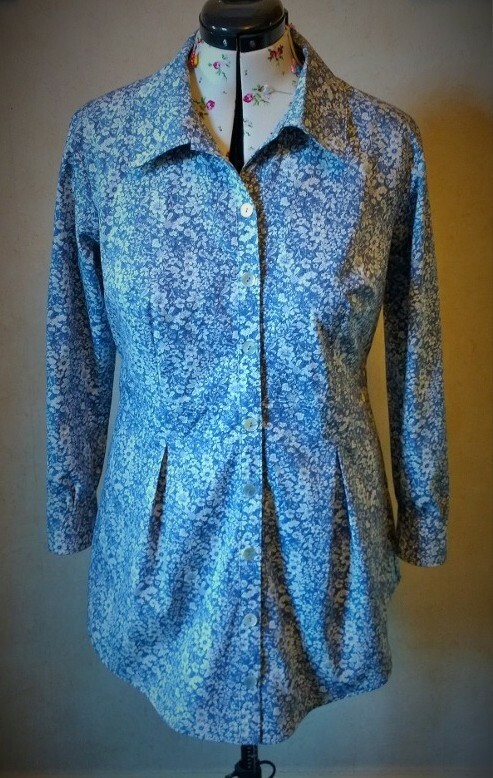 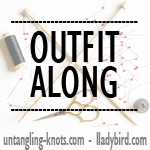 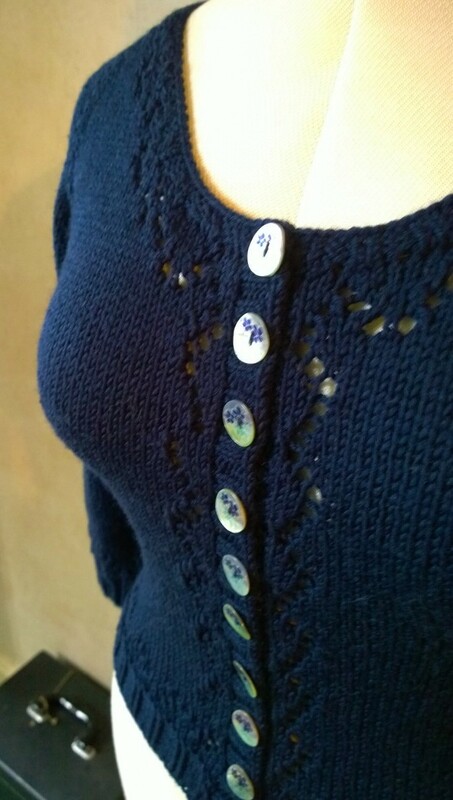 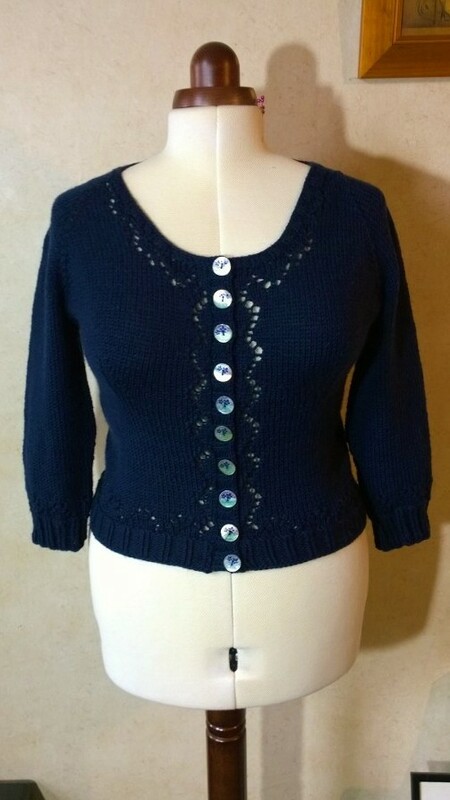 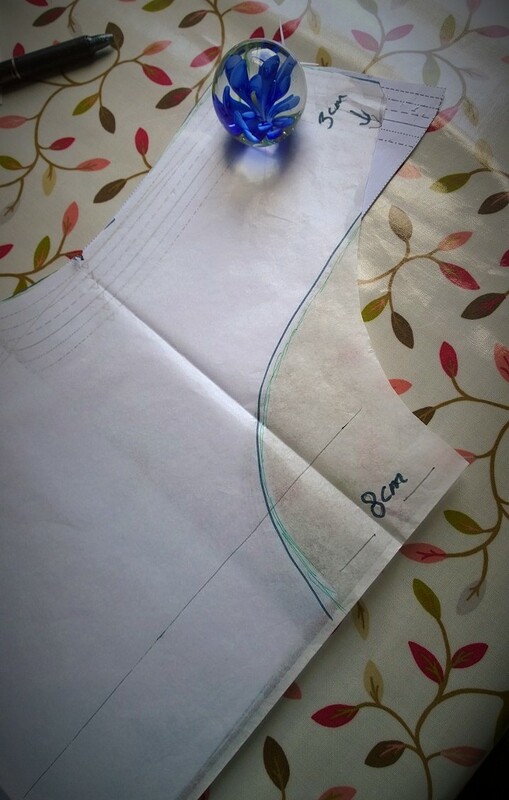 I used ten mother of pearl buttons, 2 more than the pattern to account for the extra length. 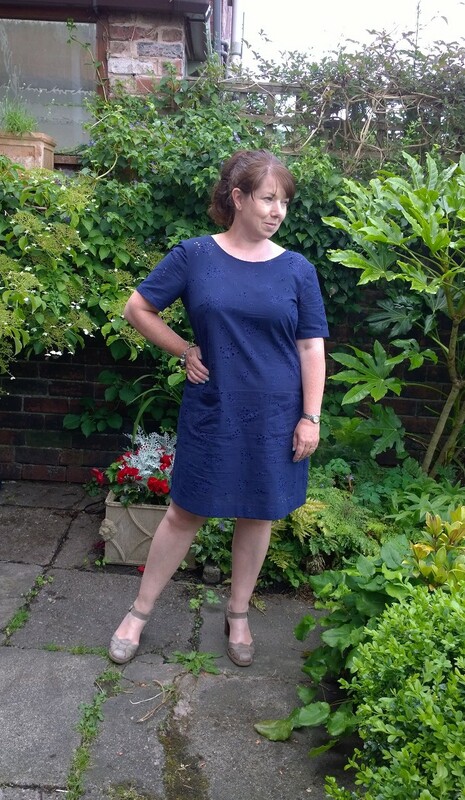 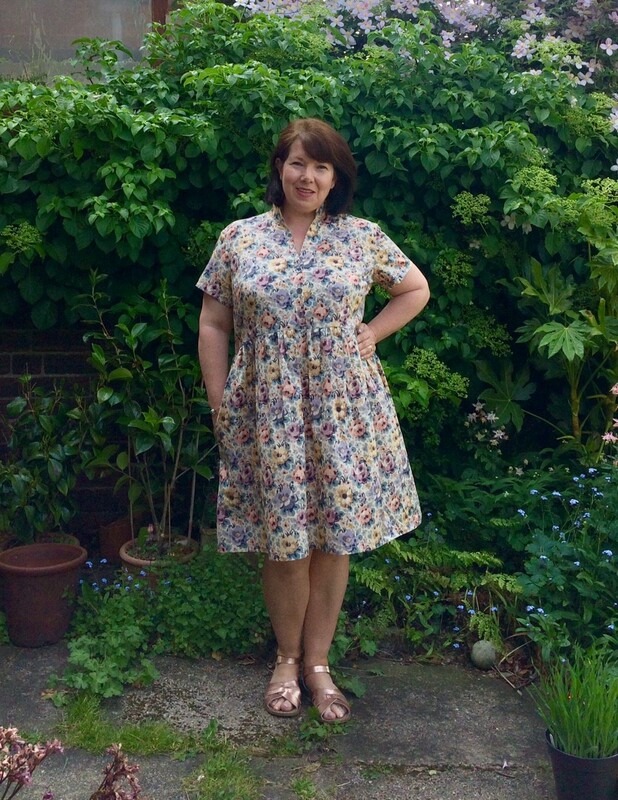 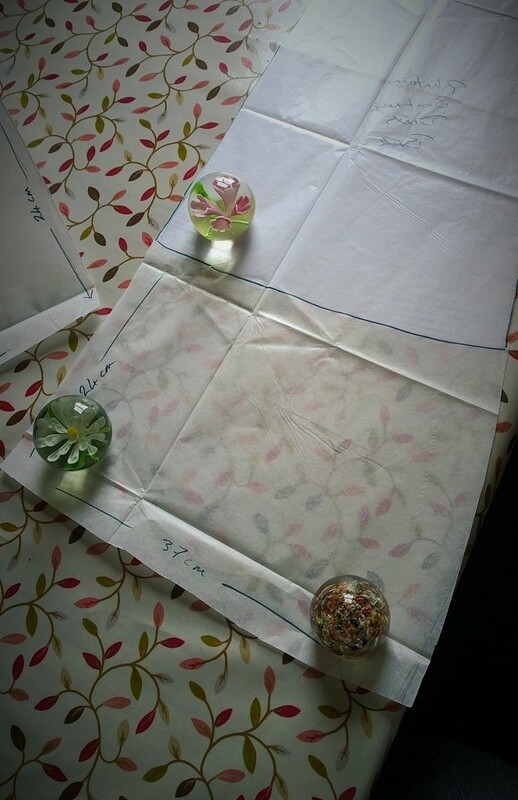 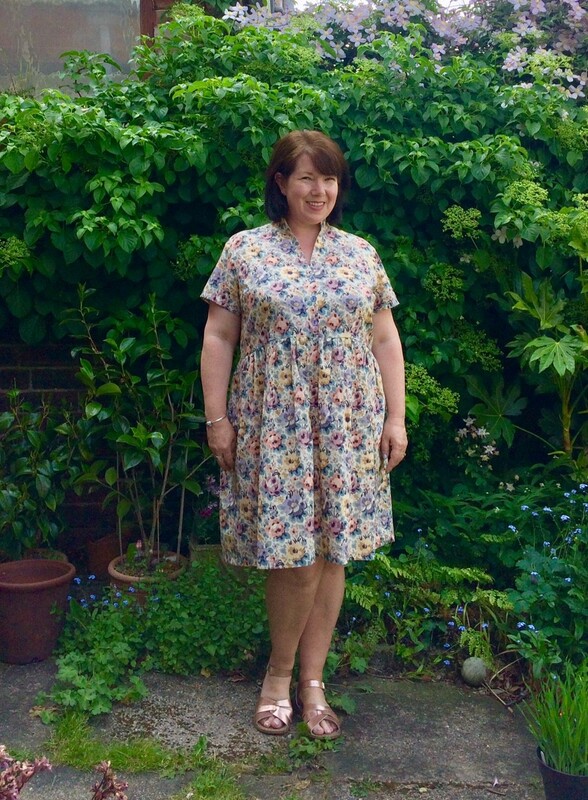 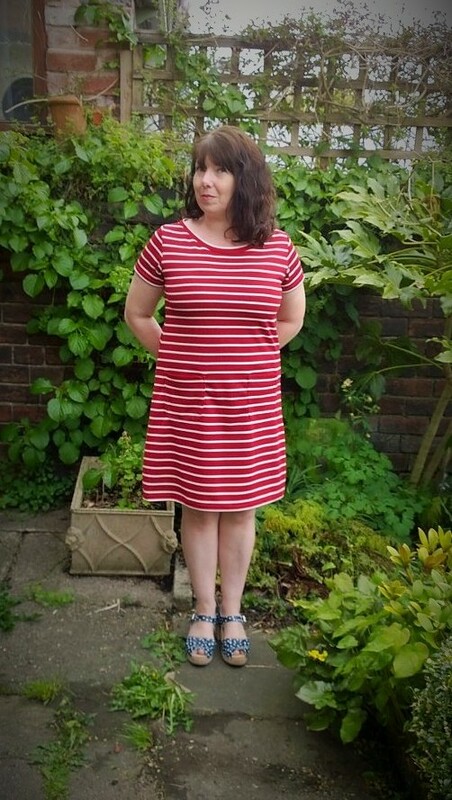 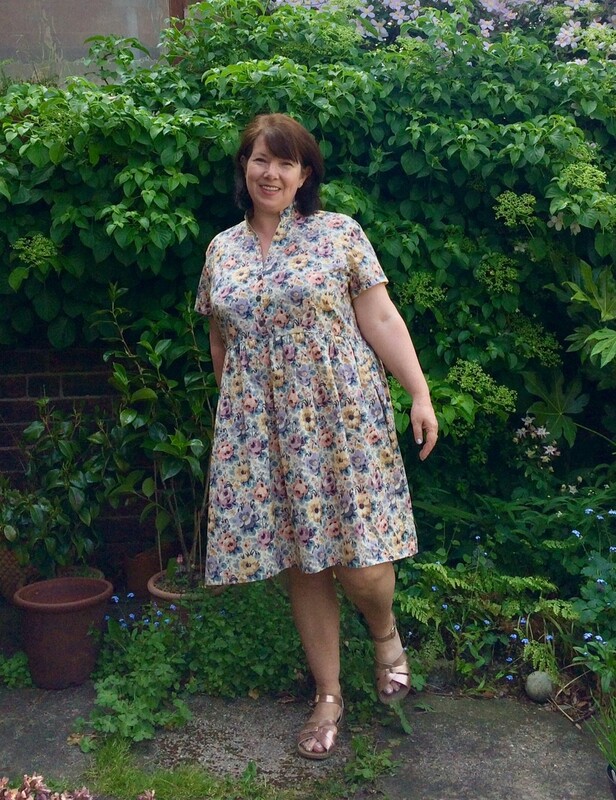 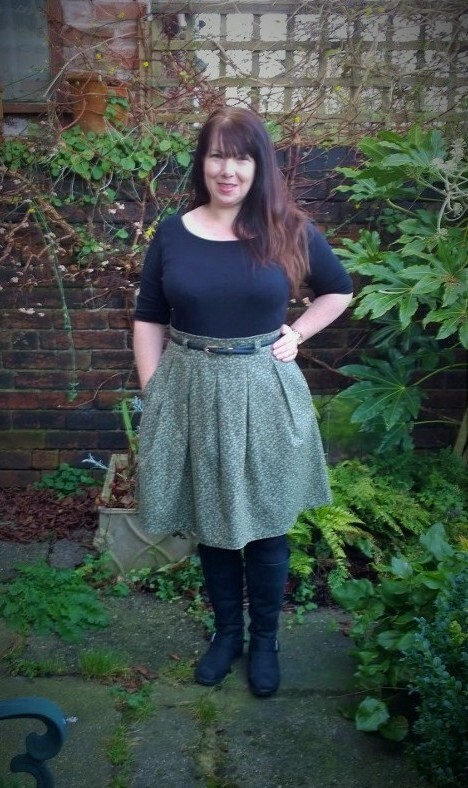 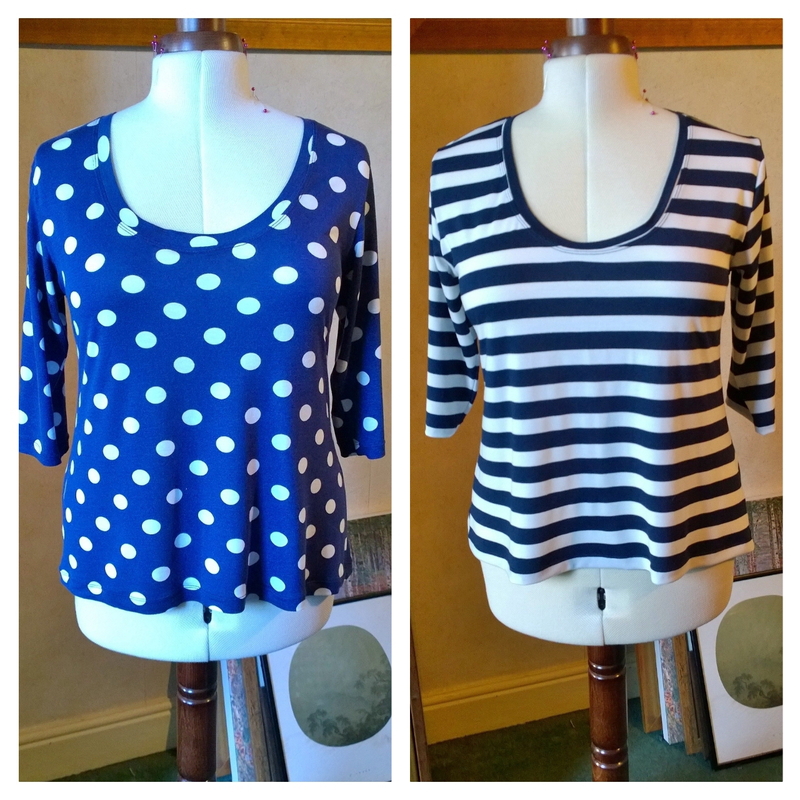 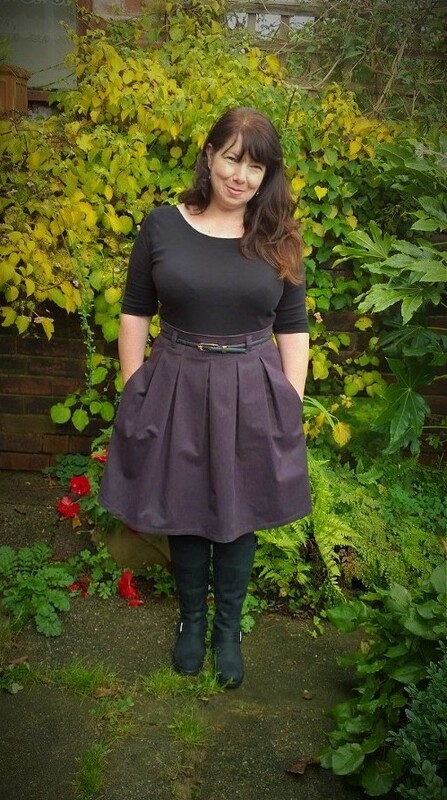 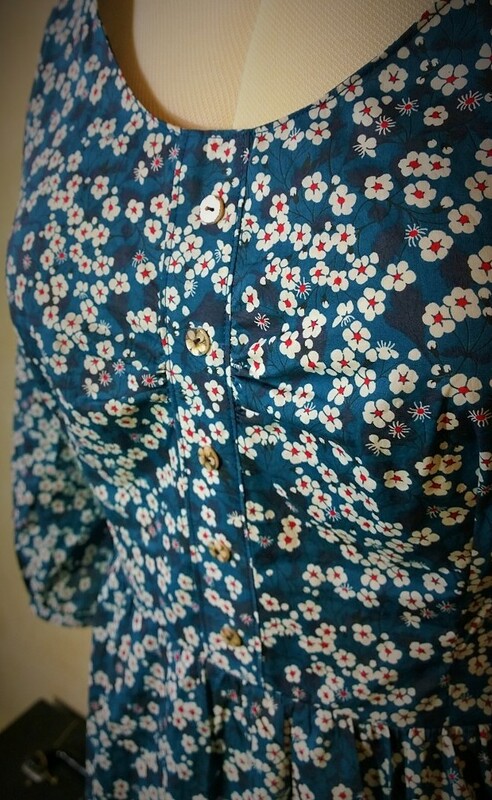 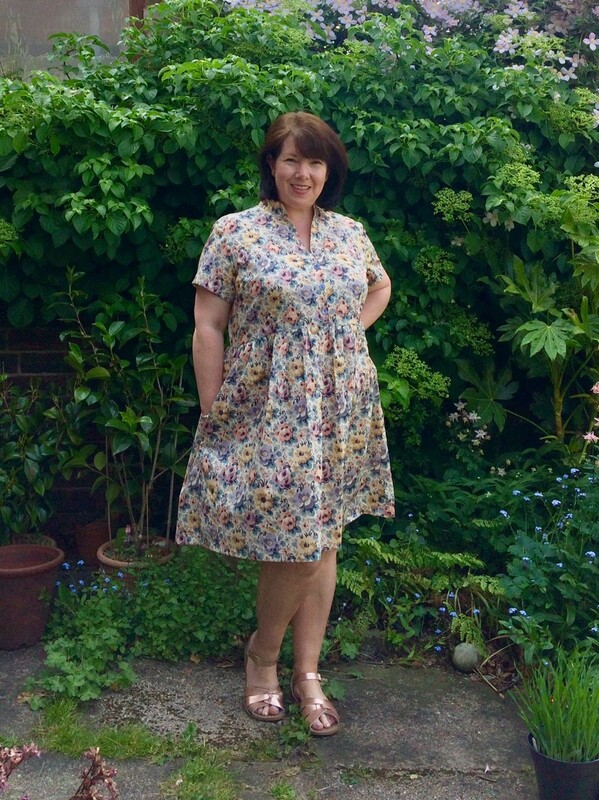 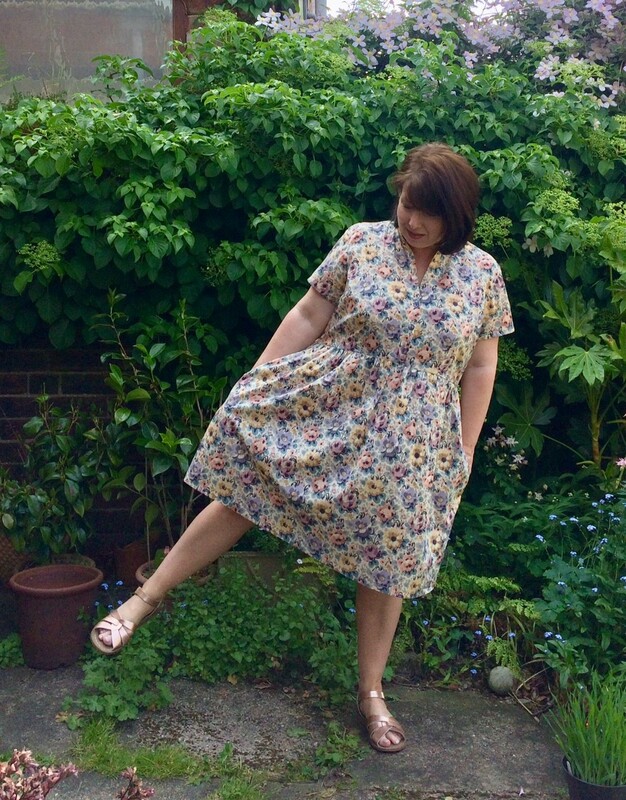 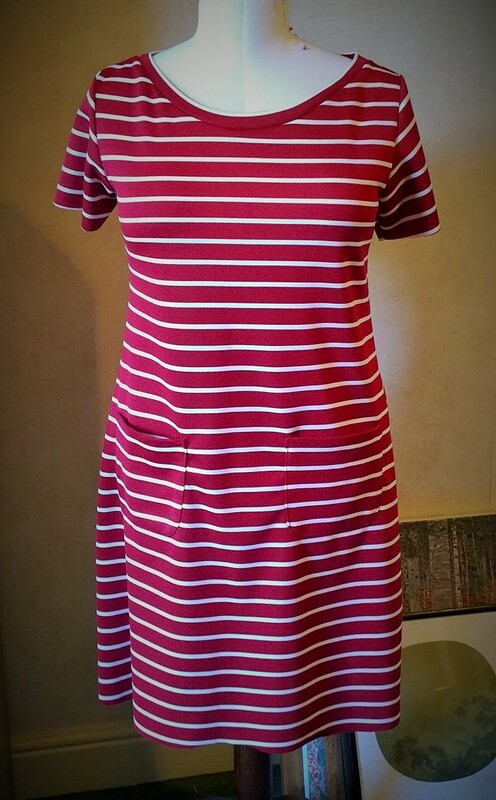 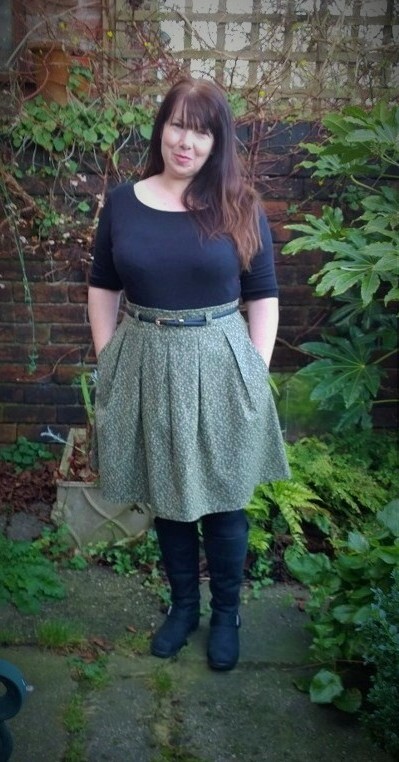 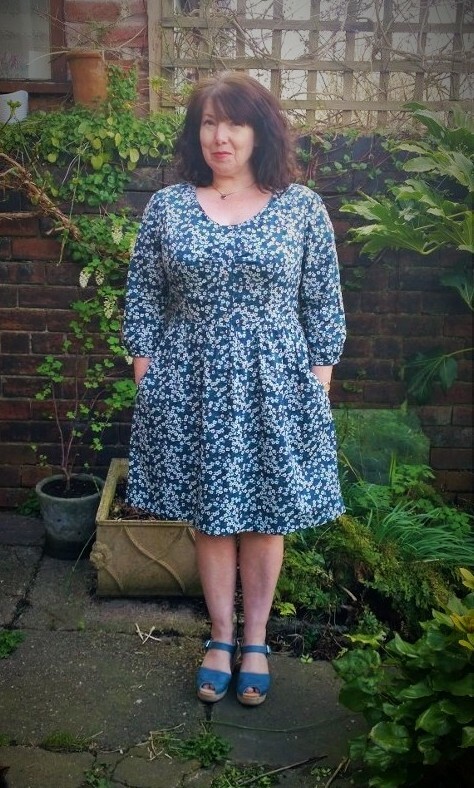 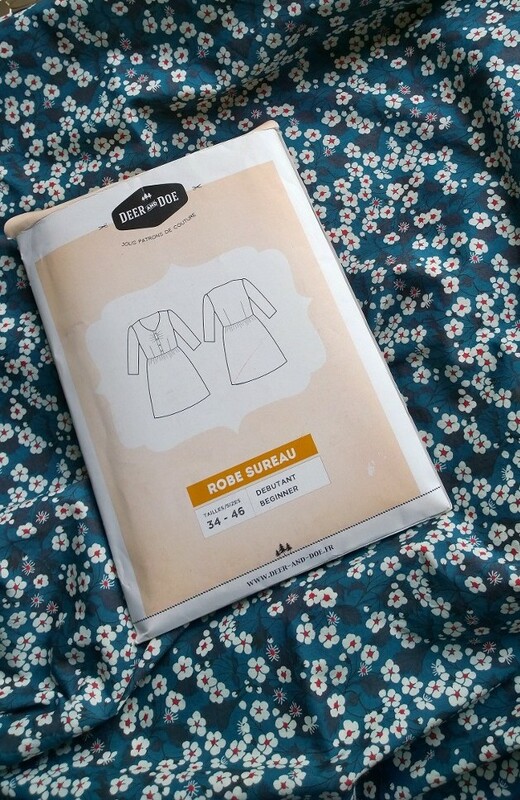 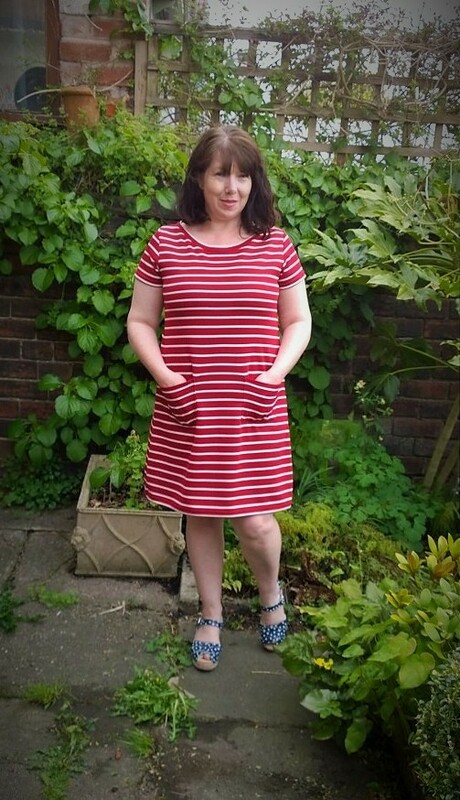 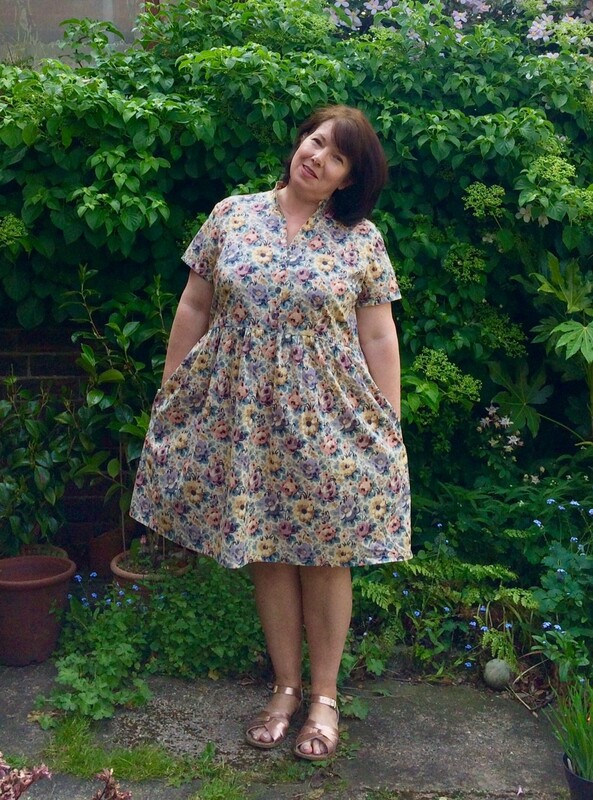 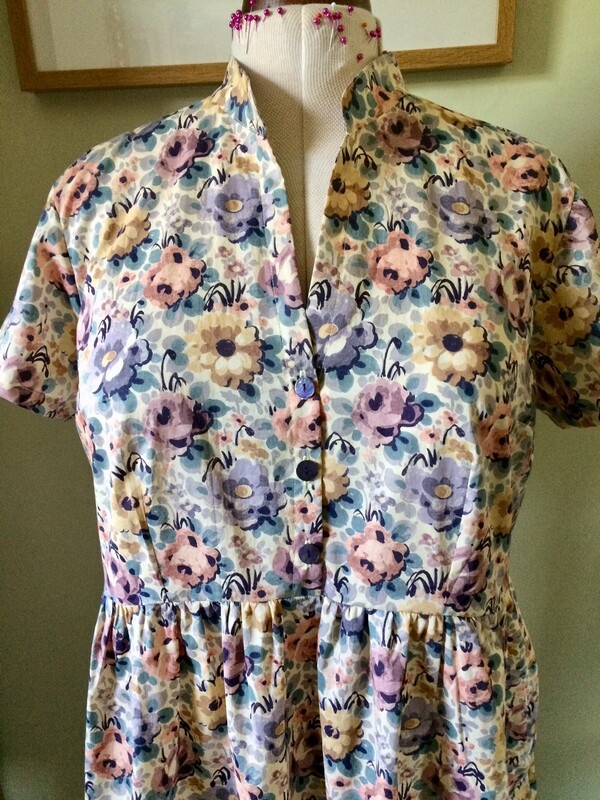 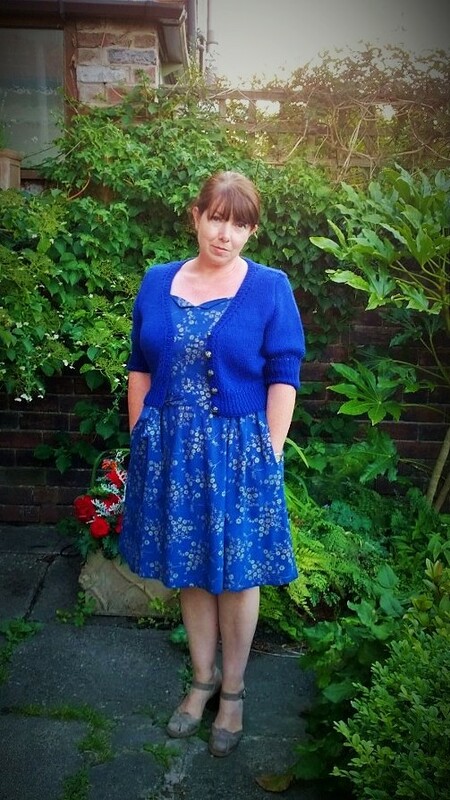 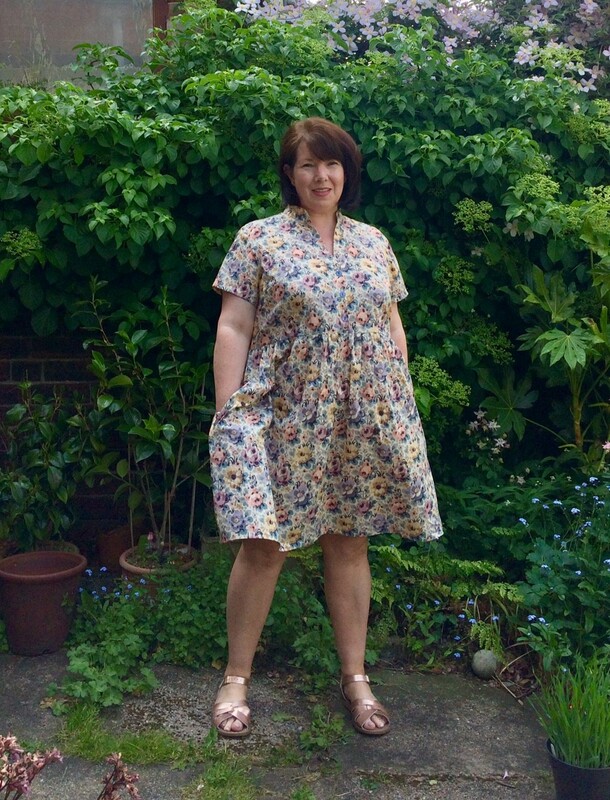 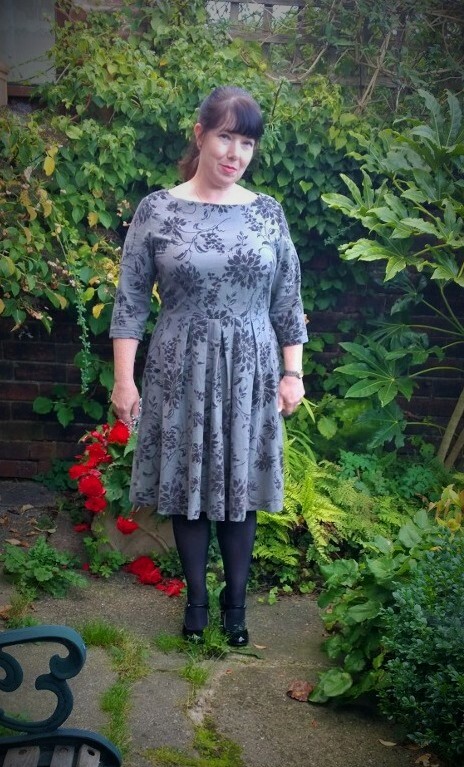 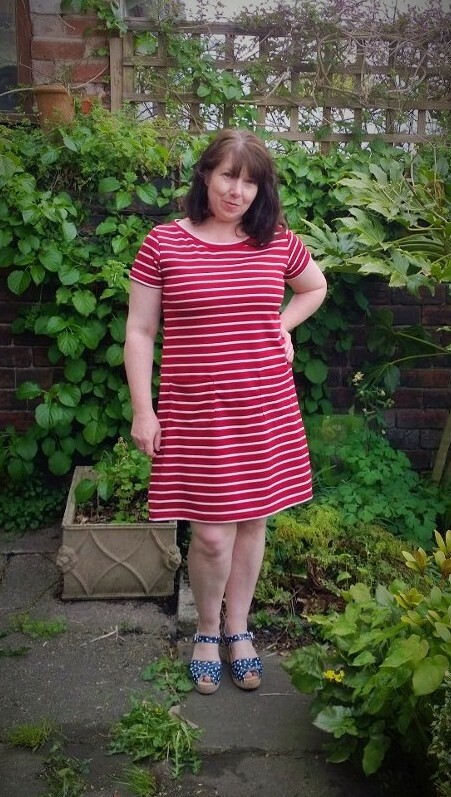 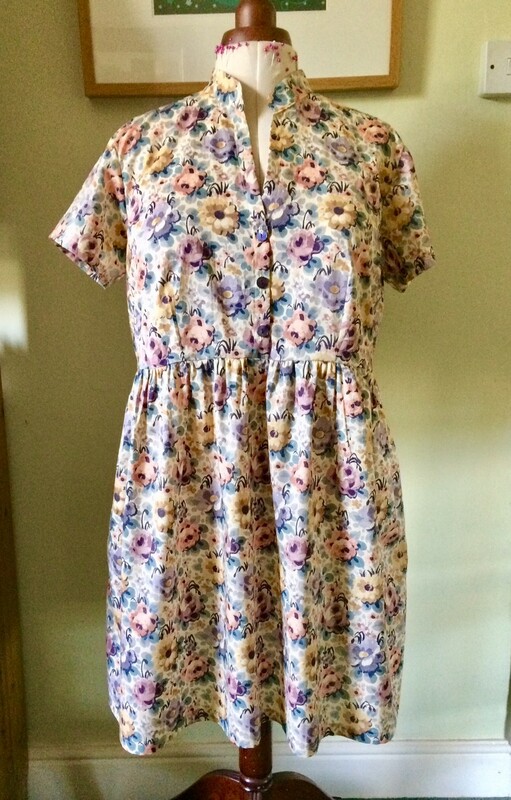 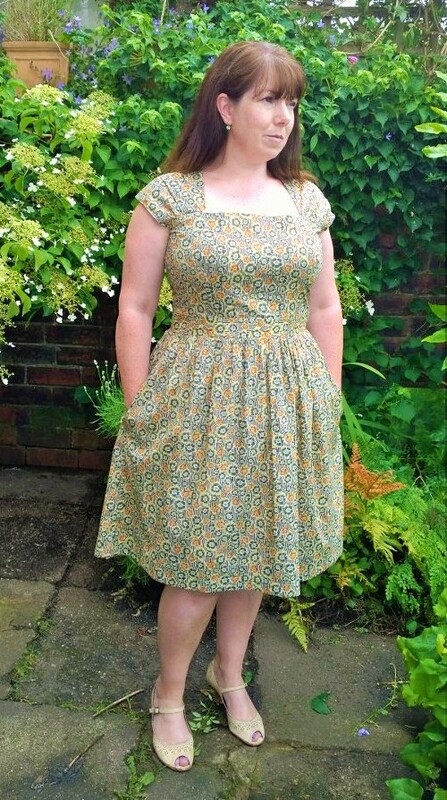 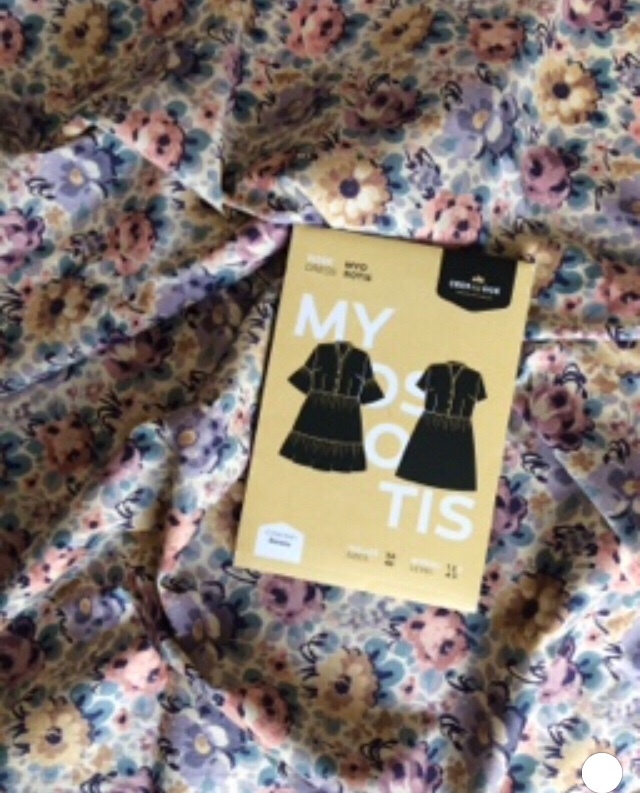 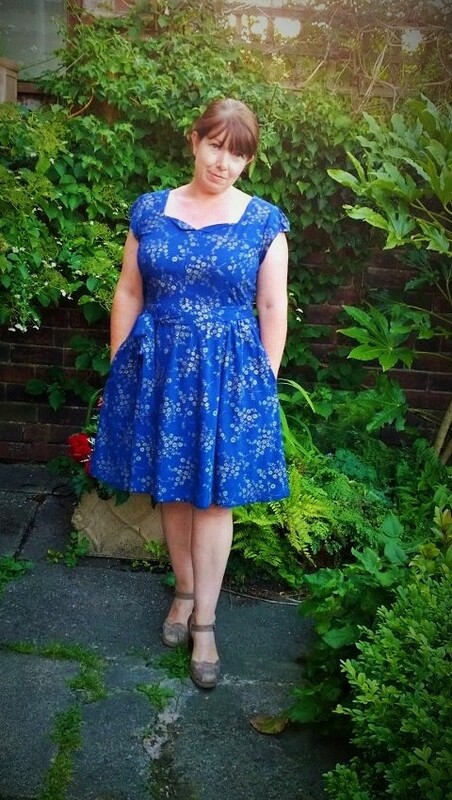 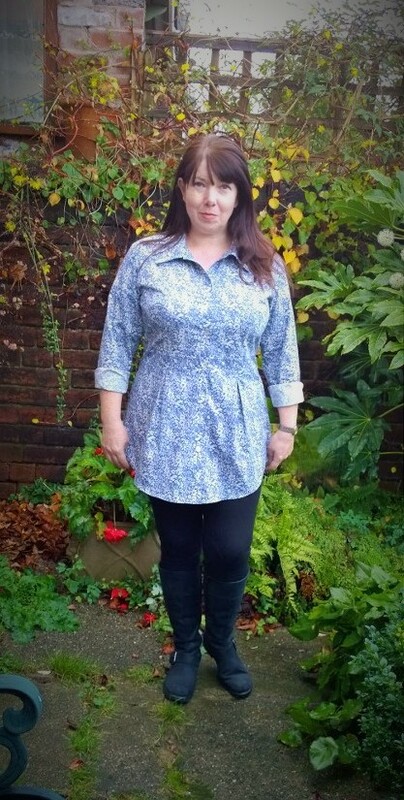 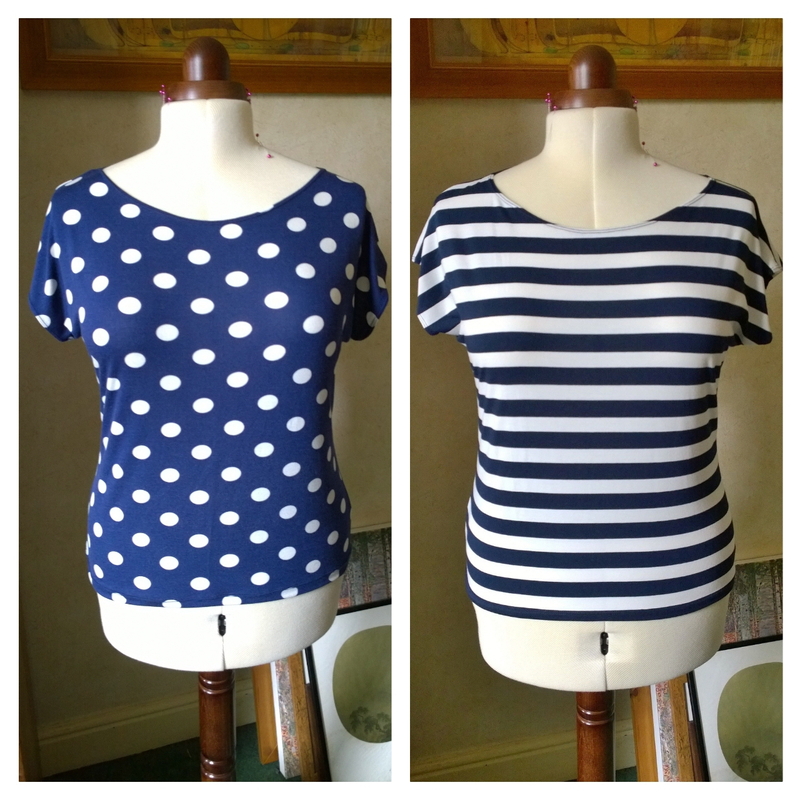 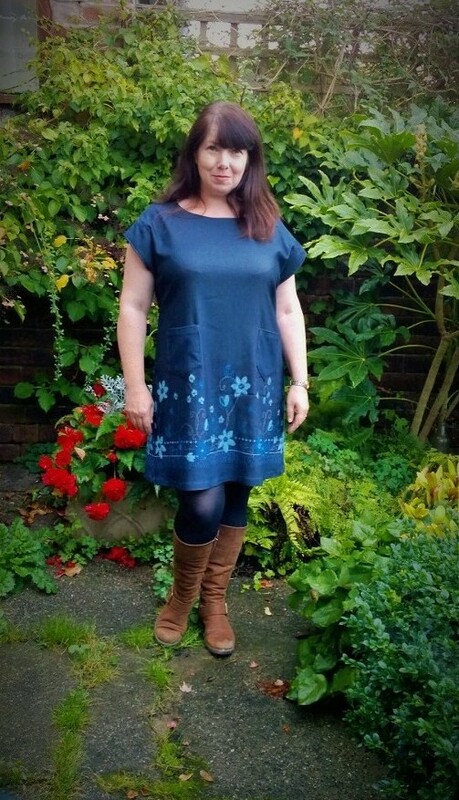 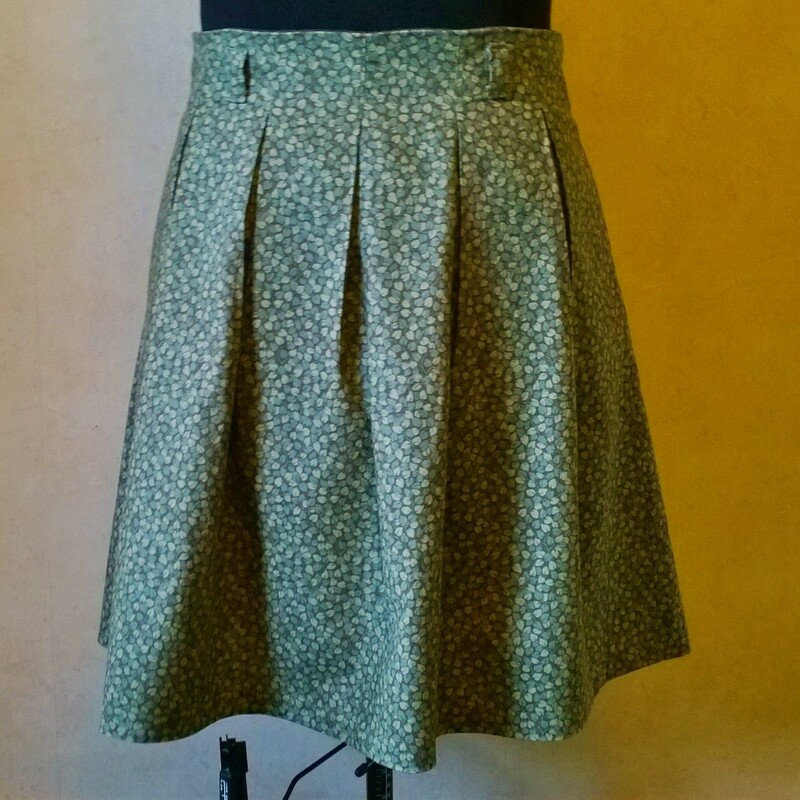 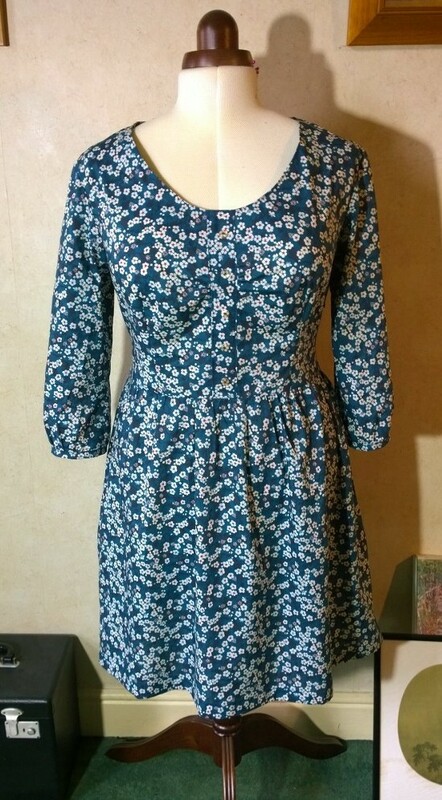 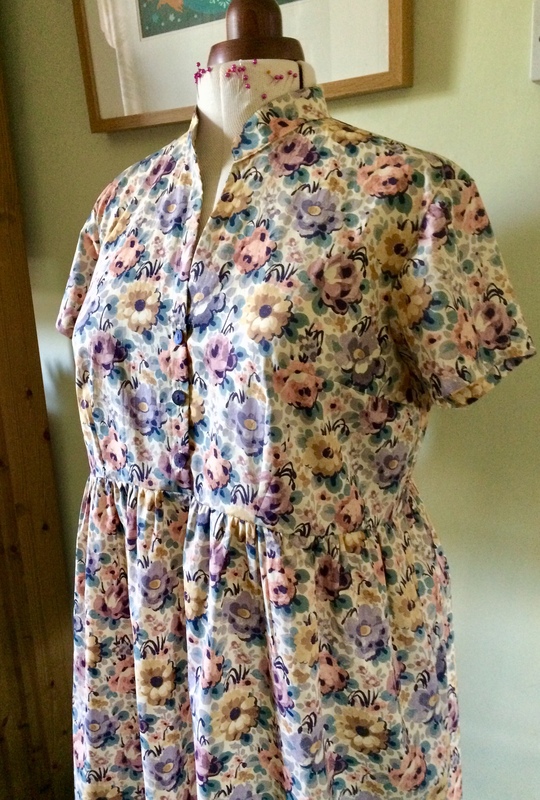 The Liberty Tana Lawn is lovely to sew with. 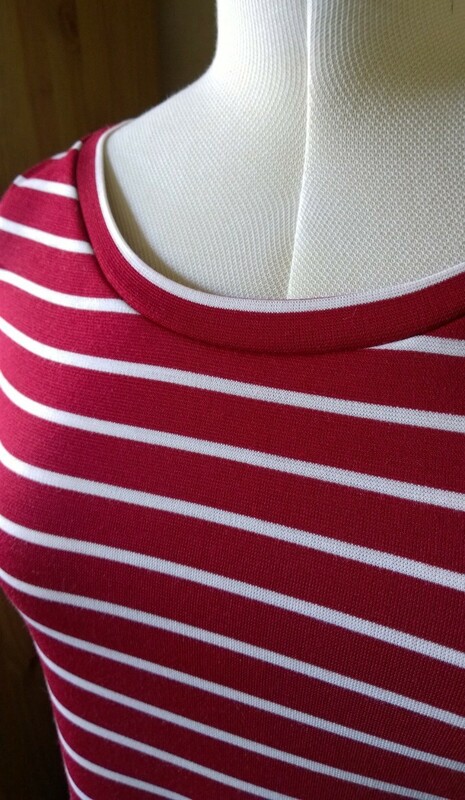 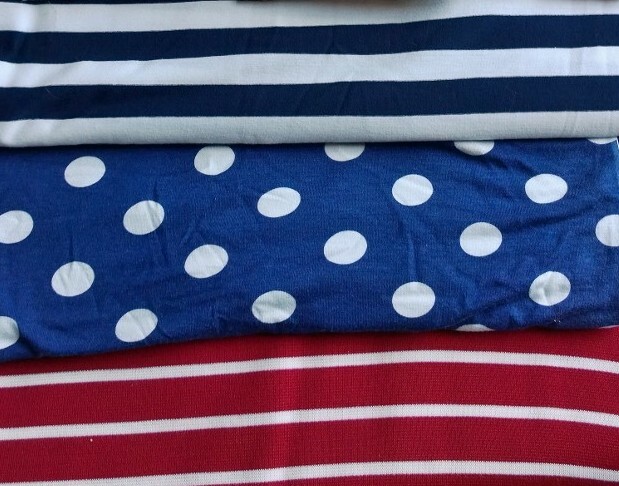 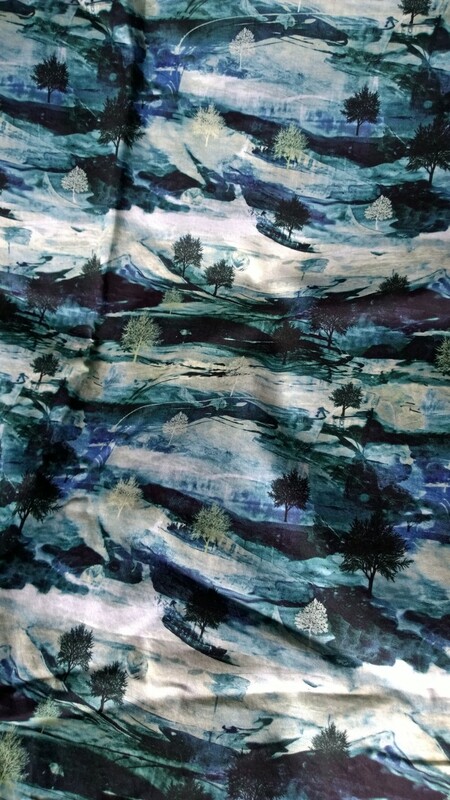 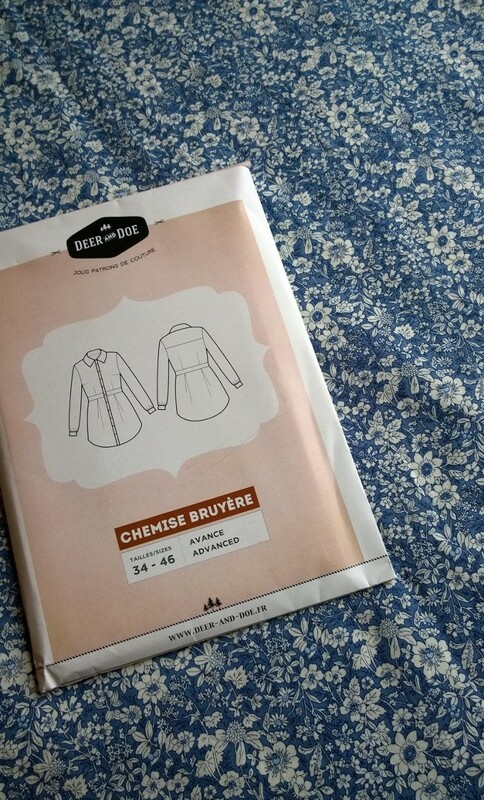 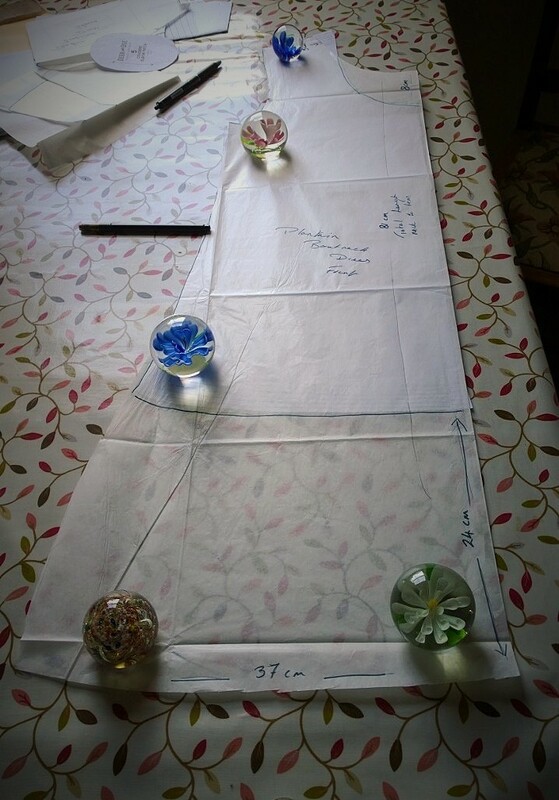 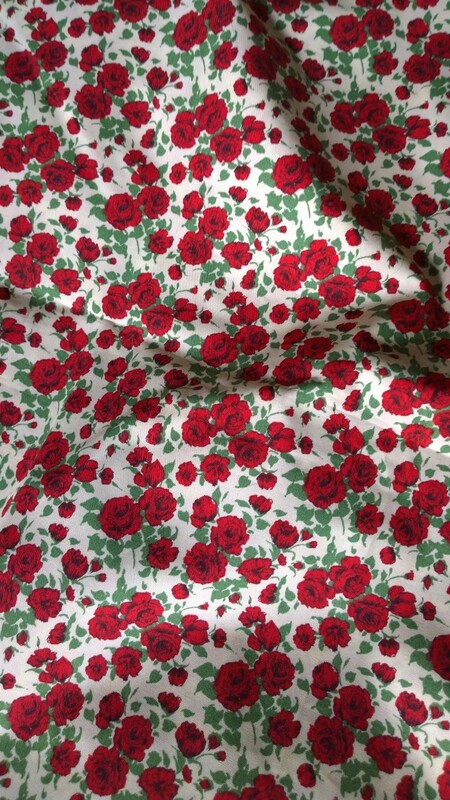 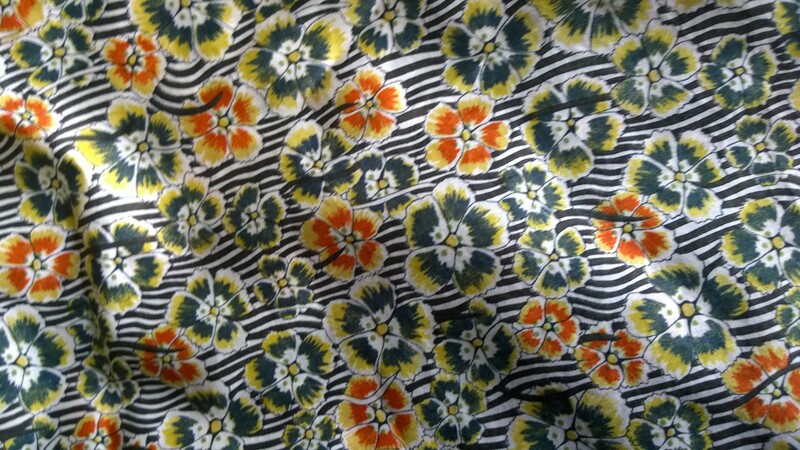 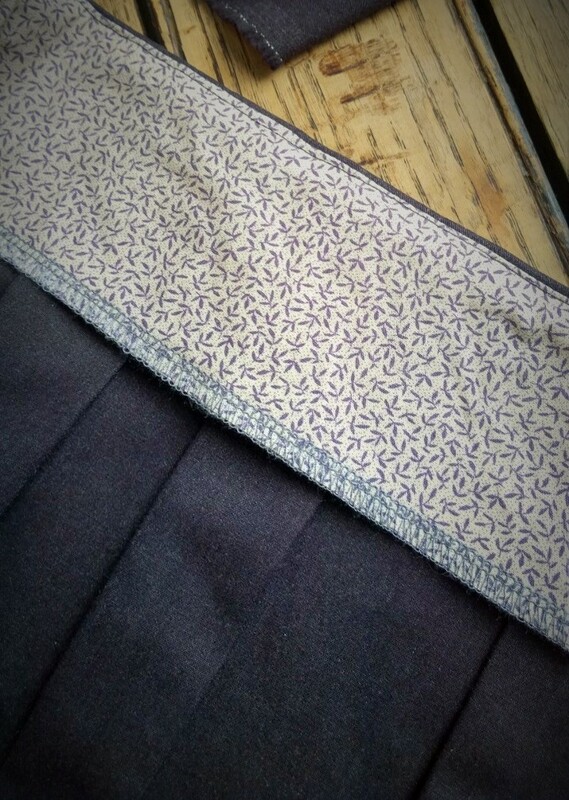 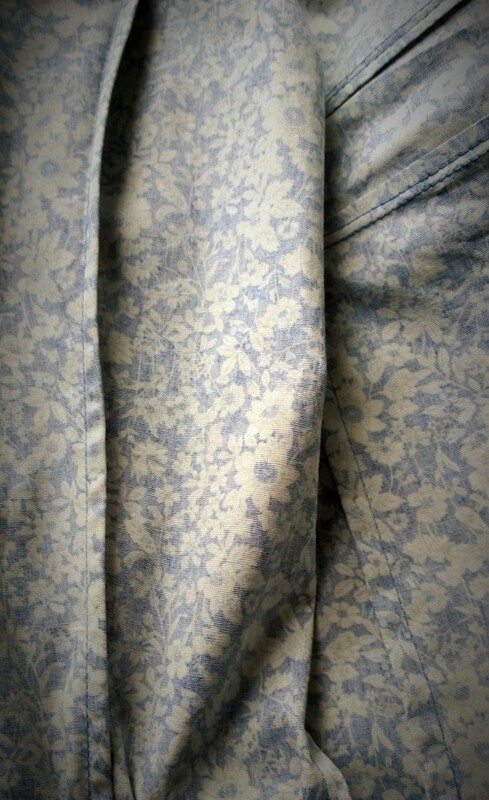 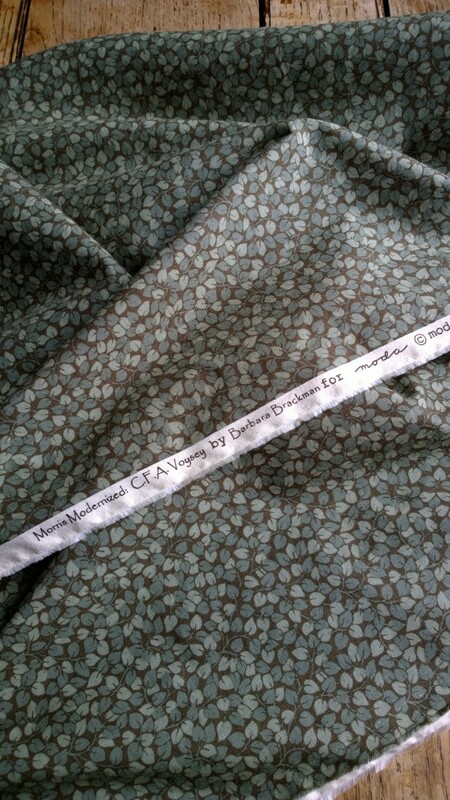 I’ve got some Liberty Cotton Poplin to try which is possibly going to become a Chardon. 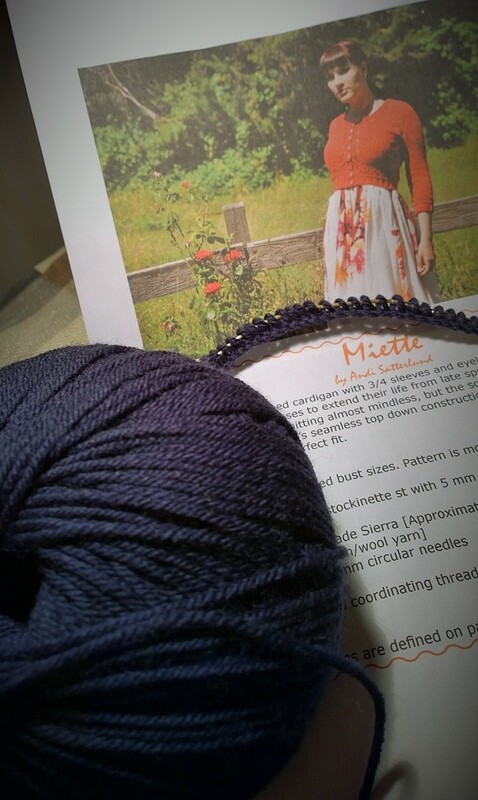 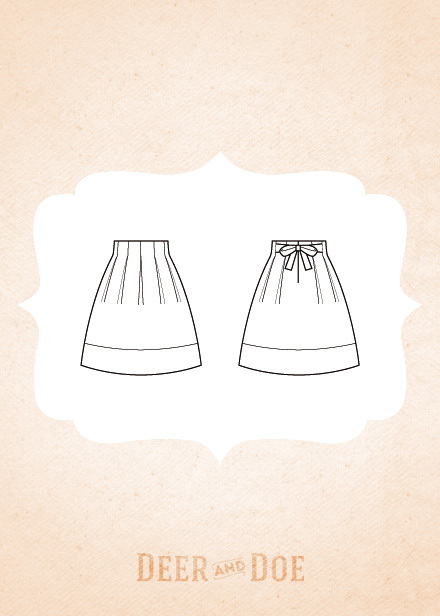 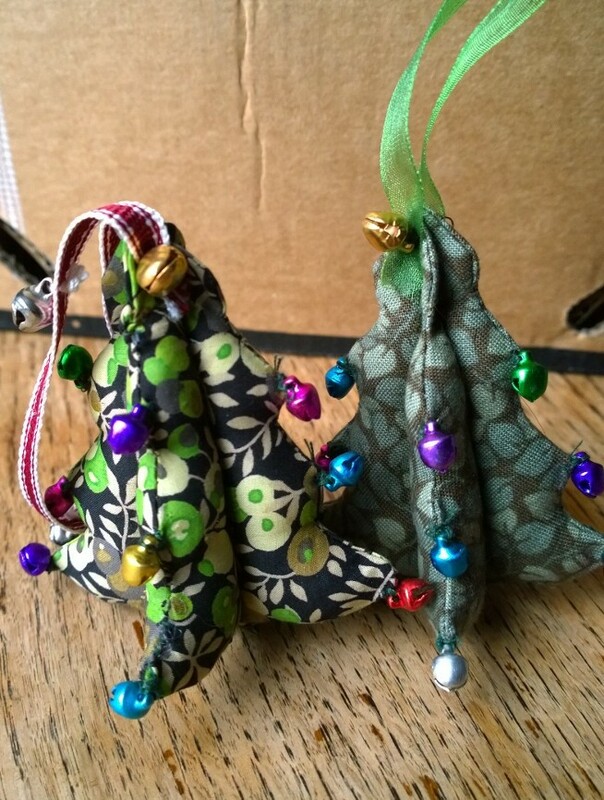 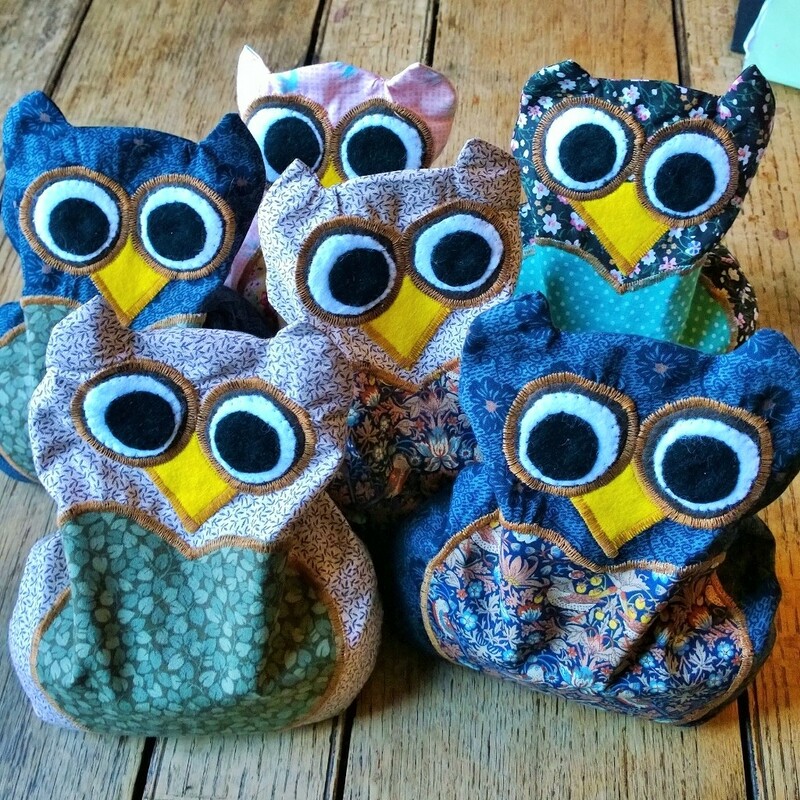 I was hoping to have enough of the Mitsi left over to make some matching knickers but I’m afraid it wasn’t to be. 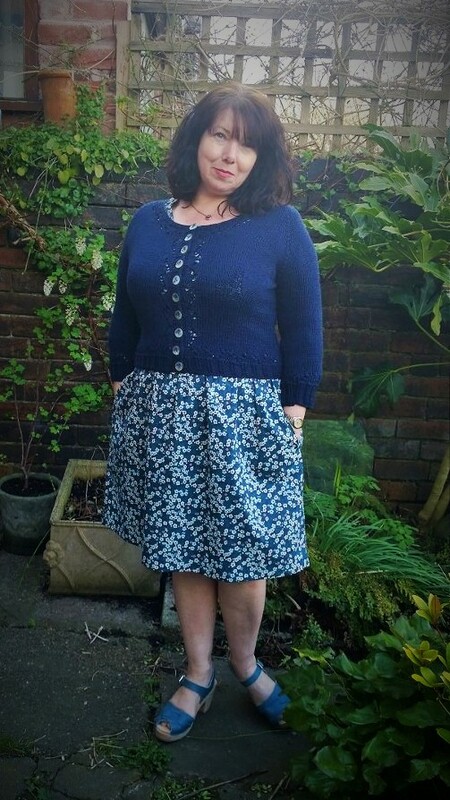 It has reignited my longing for more Liberty knickers though, I’ve found a couple of remnants that are big enough so I think I’ll have to start the production line again soon!